The City of New Orleans, Louisiana (NOLA), GIS Department, The Health Department and The Mosquito and Termite Control Board. The client recruited 183 health corps volunteers to inspect all properties in the city for risk factors pertaining to the presence of adult and larvae mosquitos; such as: containers, standing water, and abandoned tires, etc. During the business process review, the team from GISinc, identified a completely paper-based method being used by volunteers, which required duplicate data entry when consolidating inspections. The loss of valuable time, pertaining to a manual process, would delay the results being communicated to those mitigating the risk, such as: mosquito control, code enforcement, sanitation, etc. 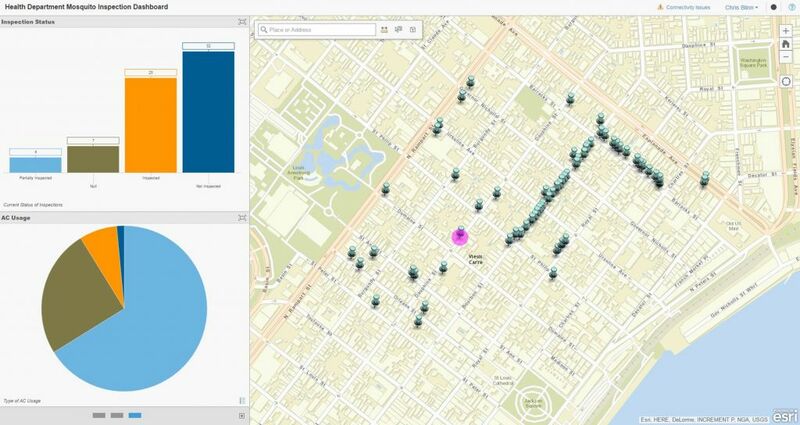 NOLA, having Esri’s ArcGIS Online platform, had access to hundreds of ready-to-go information product templates. We recommended a configuration of the ArcGIS Collector for the field risk inspections and a configuration of the Operations Dashboard to disseminate results to key decision makers and department leads. NOLA agreed with the approach, after three test runs and feedback cycles, within two weeks we had production ready solutions ready for the health corps volunteers. As inspections are completed in the field, results are disseminated real-time on an operational dashboard. What is remarkable about the OSC solution, is these Esri information products can be repurposed to support all vector-borne diseases. It is Zika today, but the concept applies to Dengue, Chikungunya, West Nile, etc. We have added location-based decision making to their evidence-based decision model by creating a paradigm shift of constant, real-time results available to people that need information now. 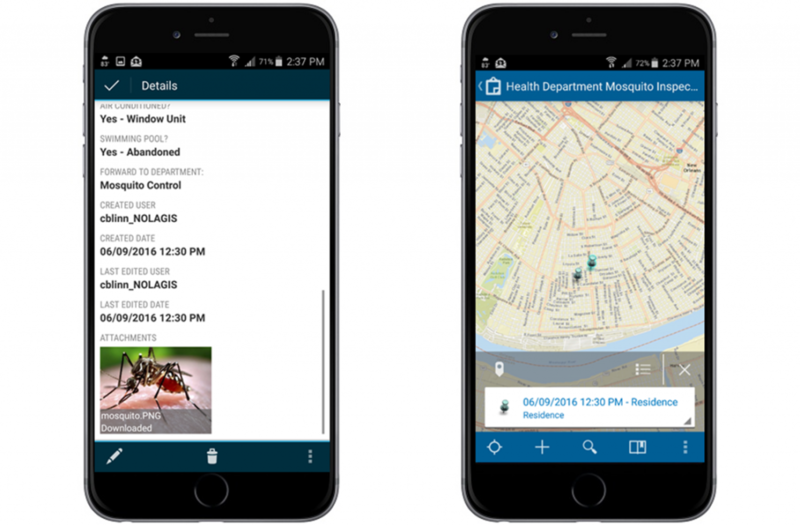 GISinc is currently finalizing the business process report, which has identified multiple Esri ArcGIS Online information products to support all aspects of the city’s Zika response plan. This includes solutions for surveillance and monitoring activities, control and treatment, and outreach and education. Location technology can help. 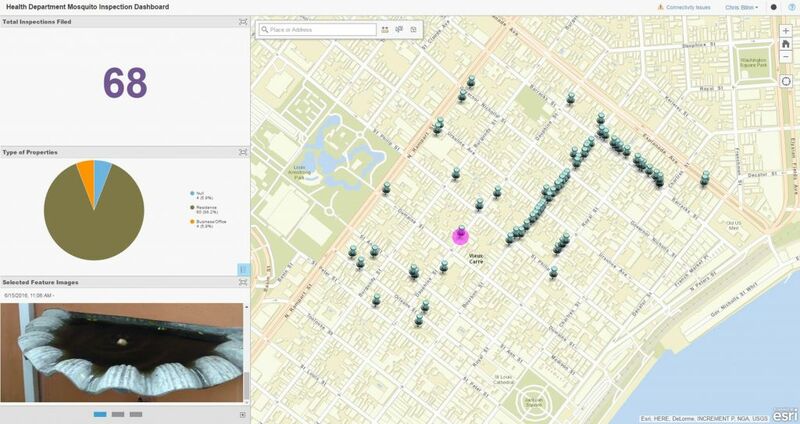 The power of visualizing information on a map, leads to location-based decision making.